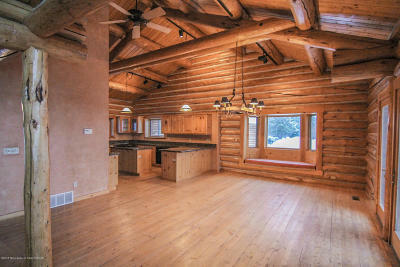 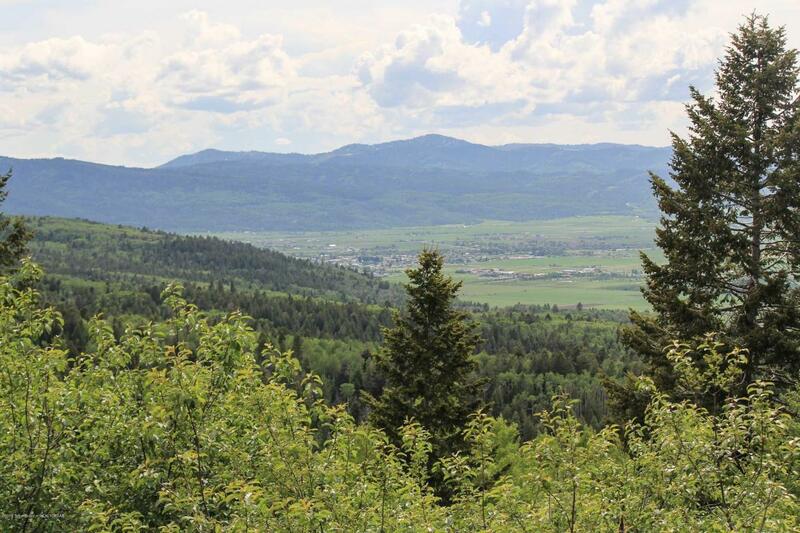 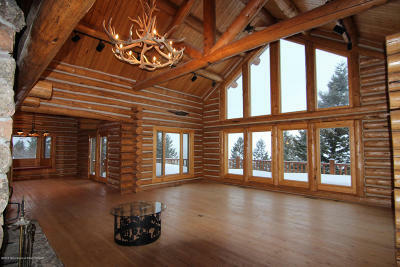 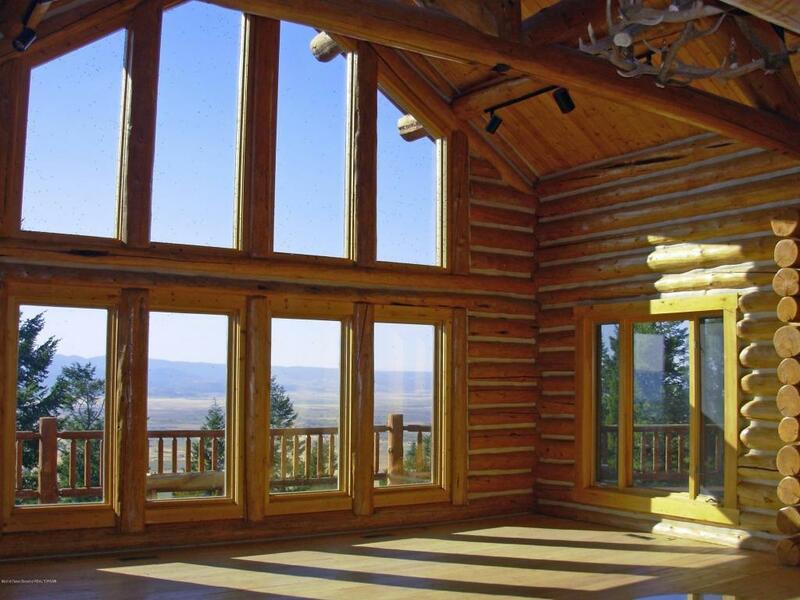 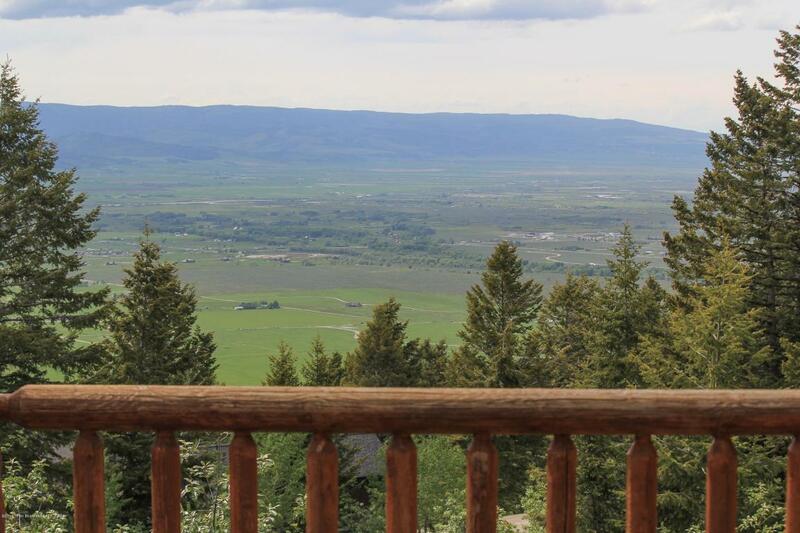 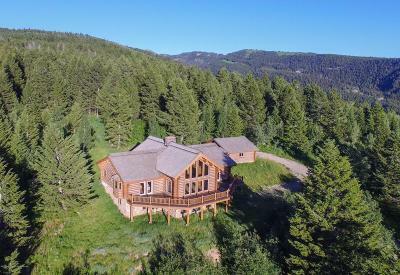 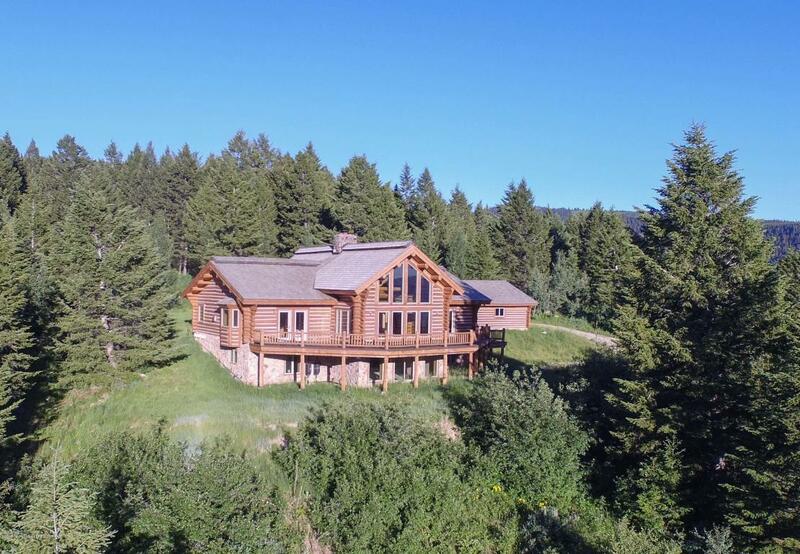 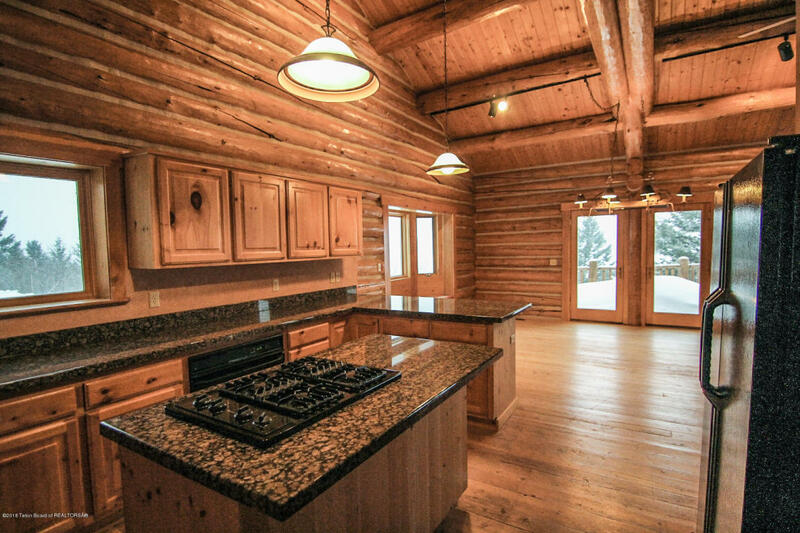 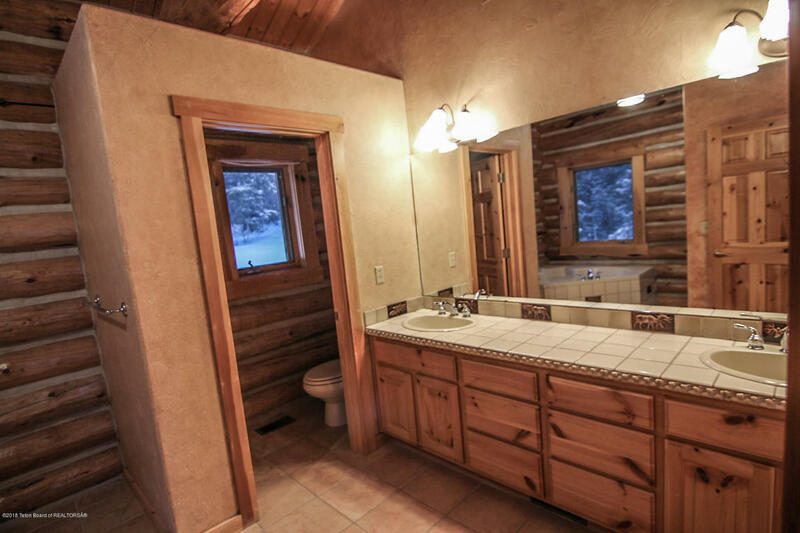 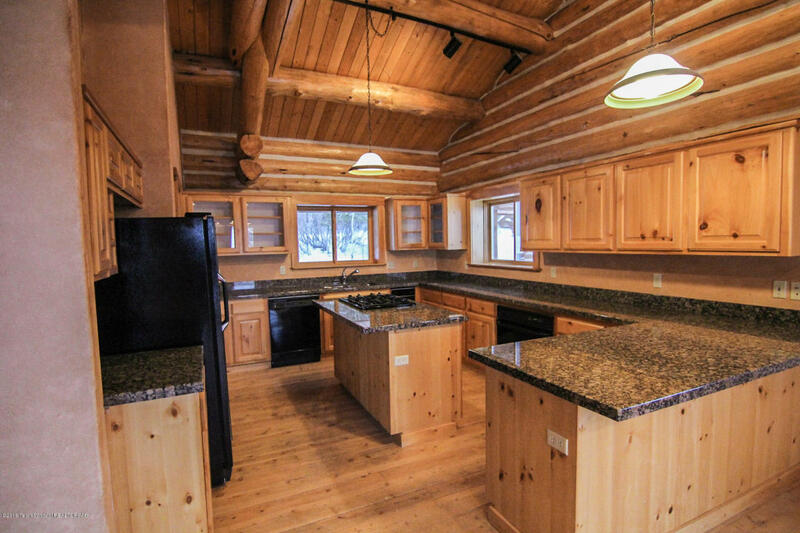 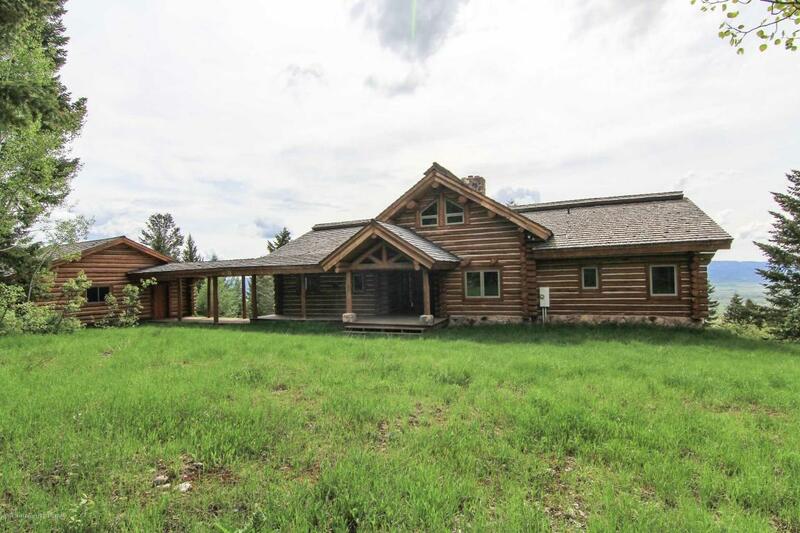 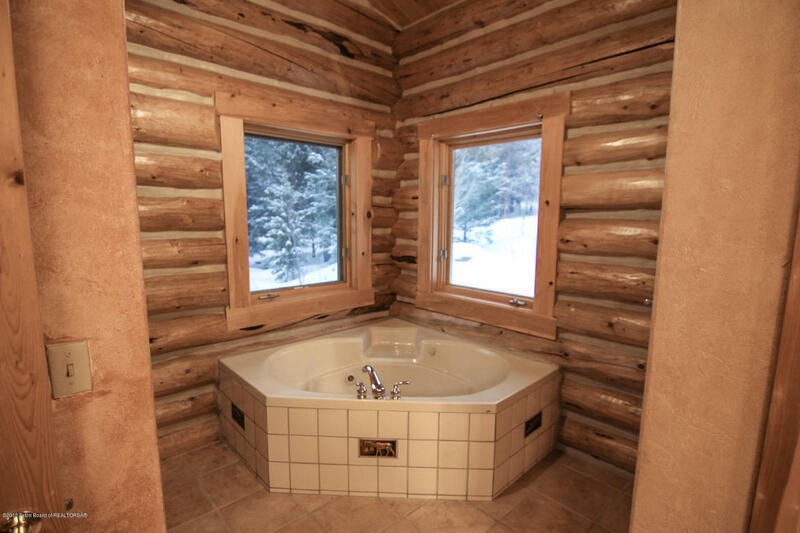 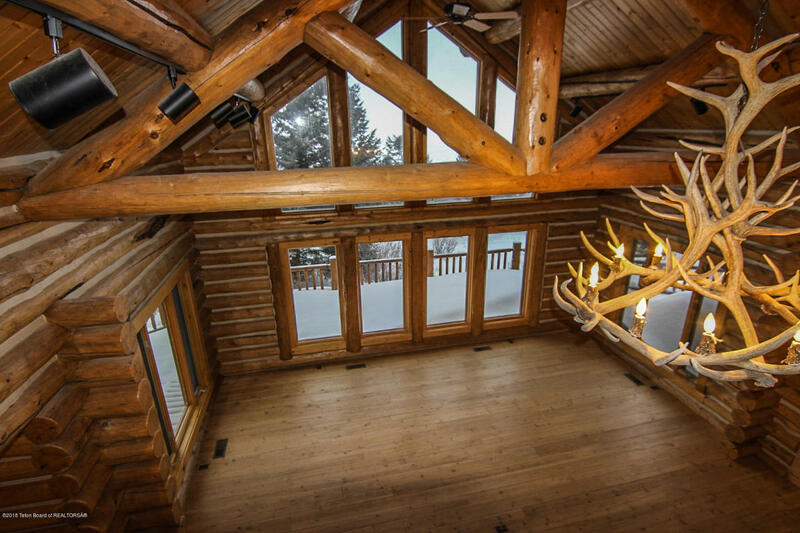 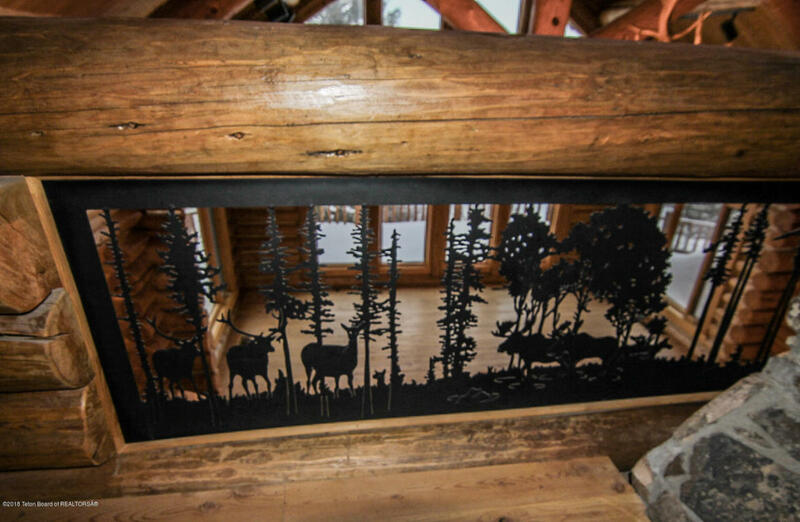 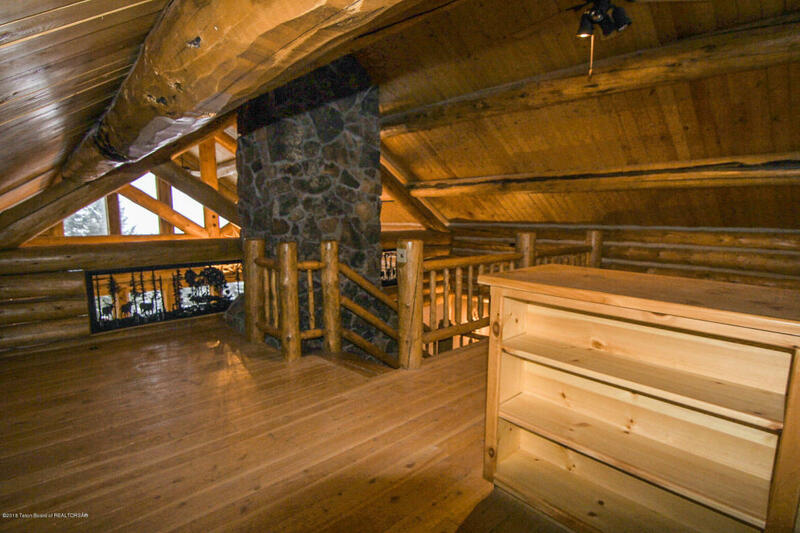 You're on top of the world in this beautifully crafted log home - the highest elevation home in Shooting Star Ranch and Teton Valley - offering breathtaking 360 degree views and adjacent to NATIONAL FOREST giving you easy access to 1000's of acres of pristine forest and abundant wildlife. 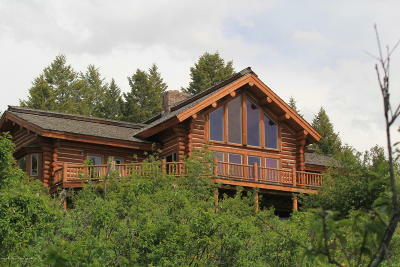 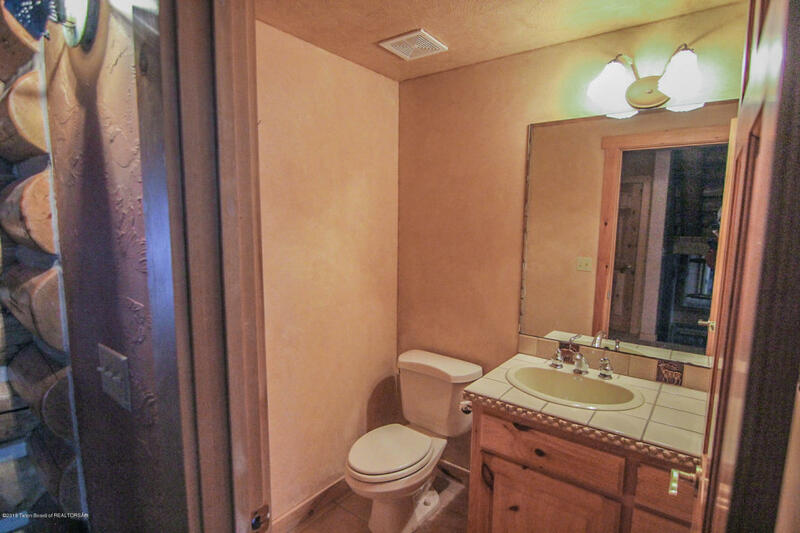 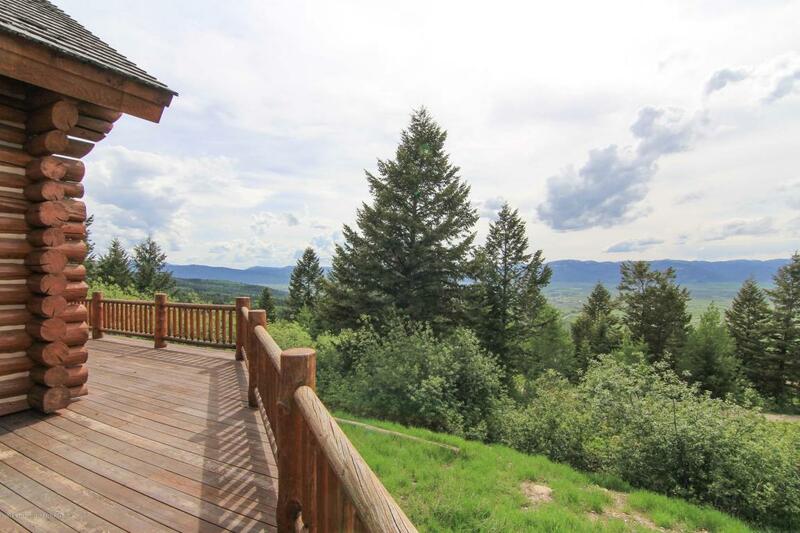 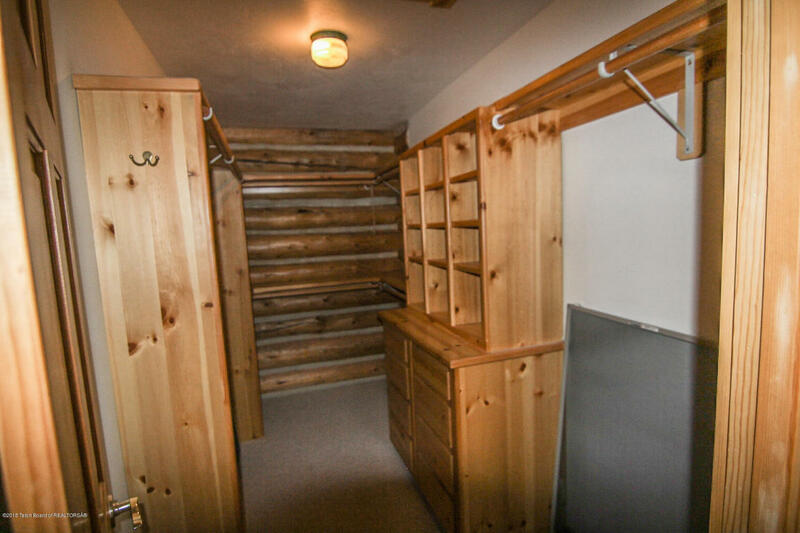 Secluded and private yet close-in to Victor and the Teton Pass. 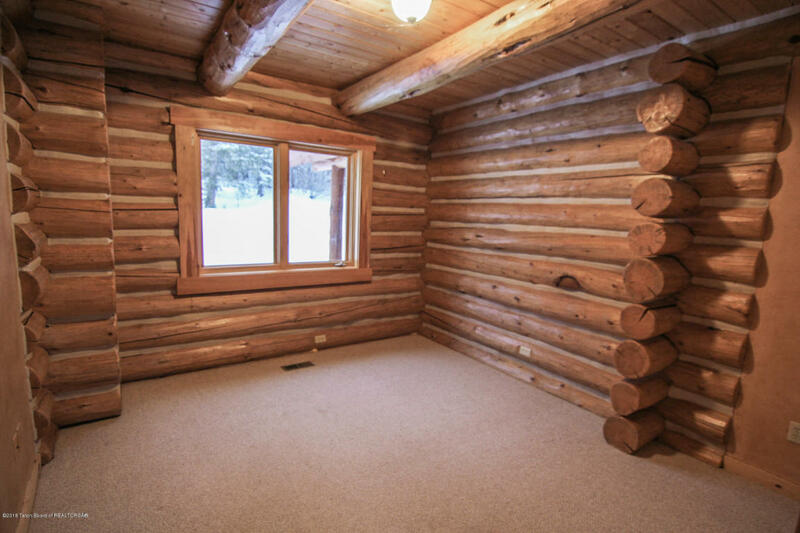 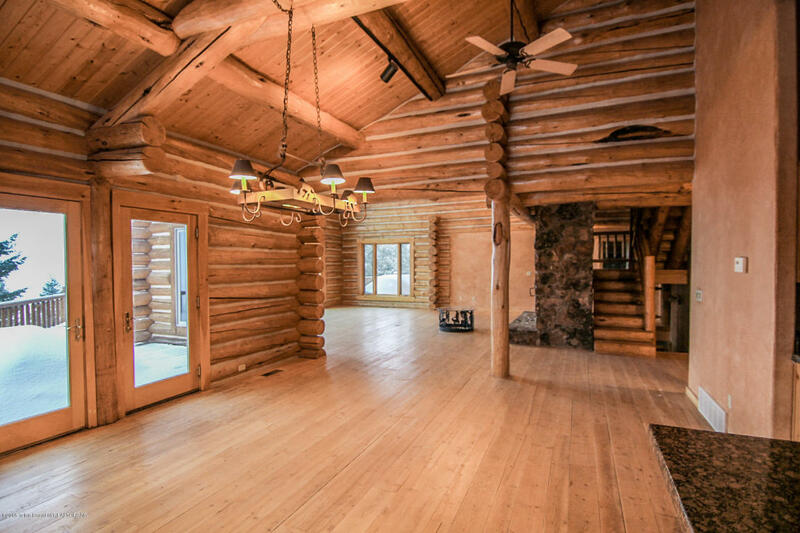 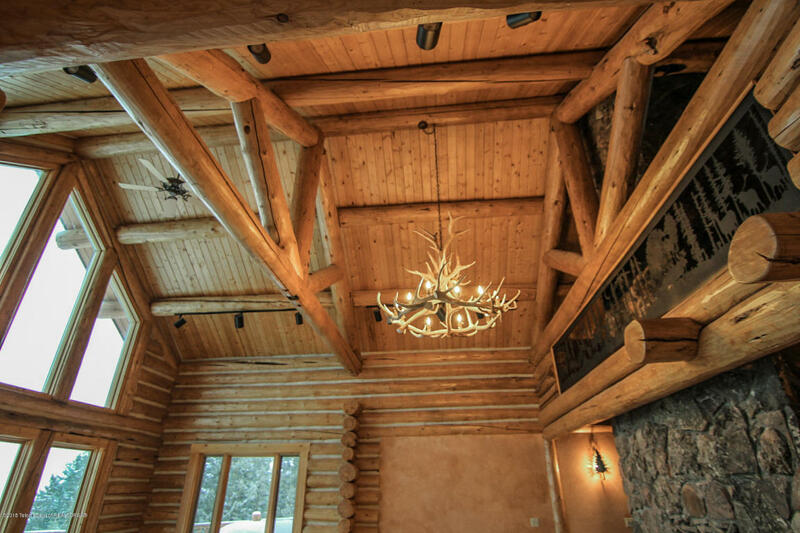 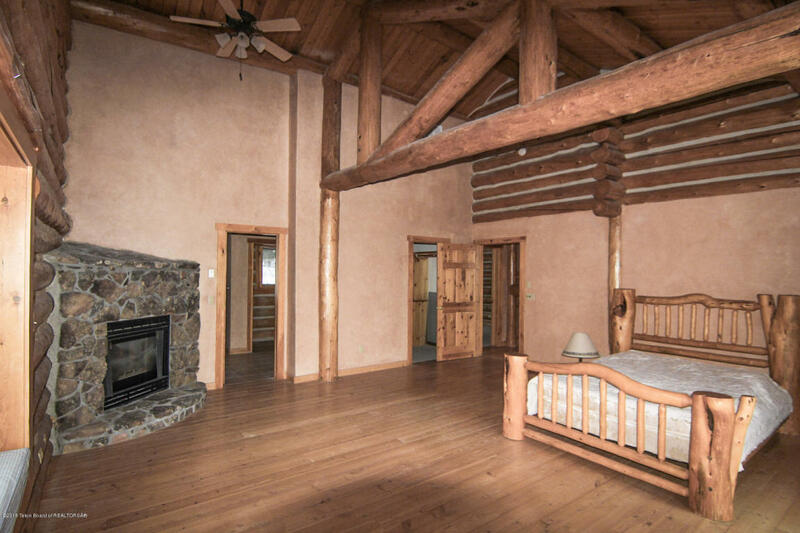 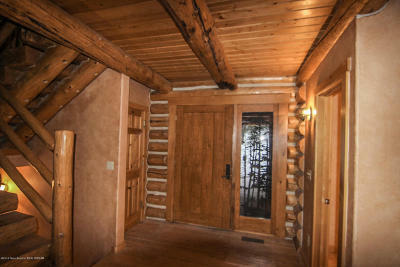 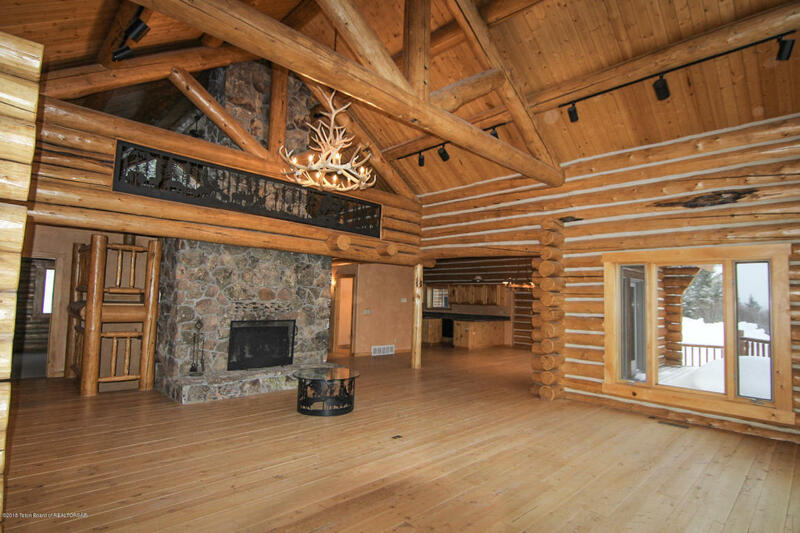 The open floor plan showcases large log beams with high vaulted ceilings, stunning floor to ceiling rock fireplace, along with functional layout. 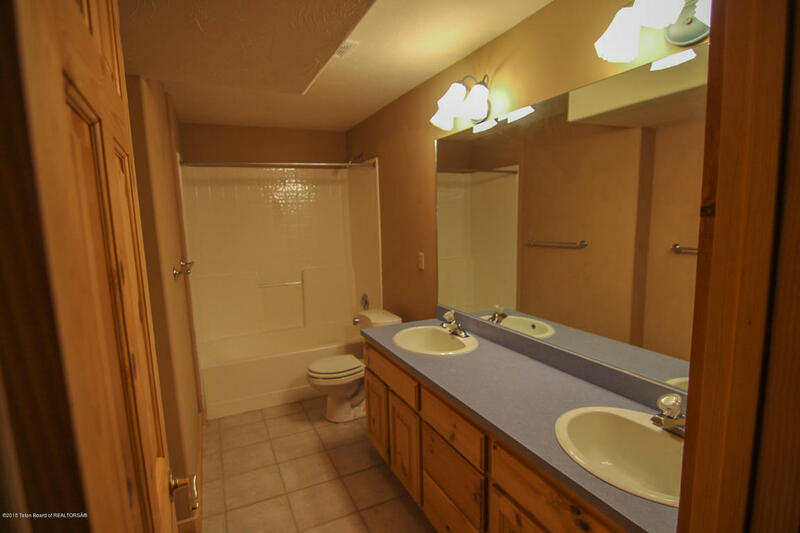 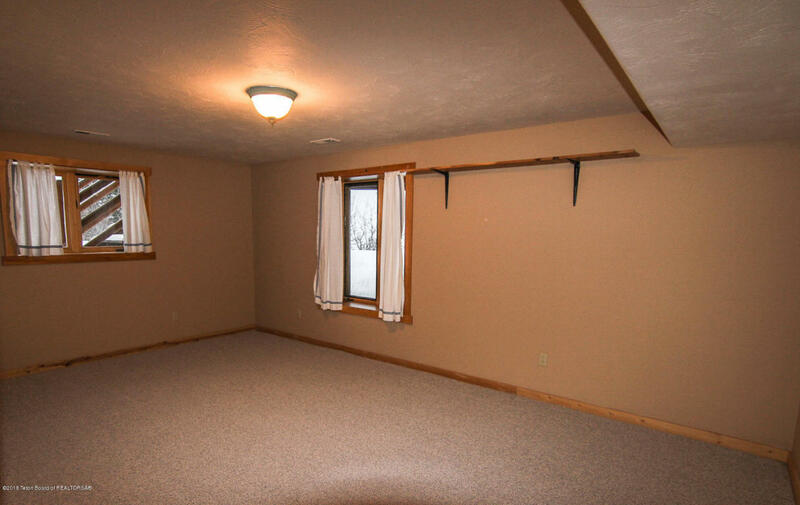 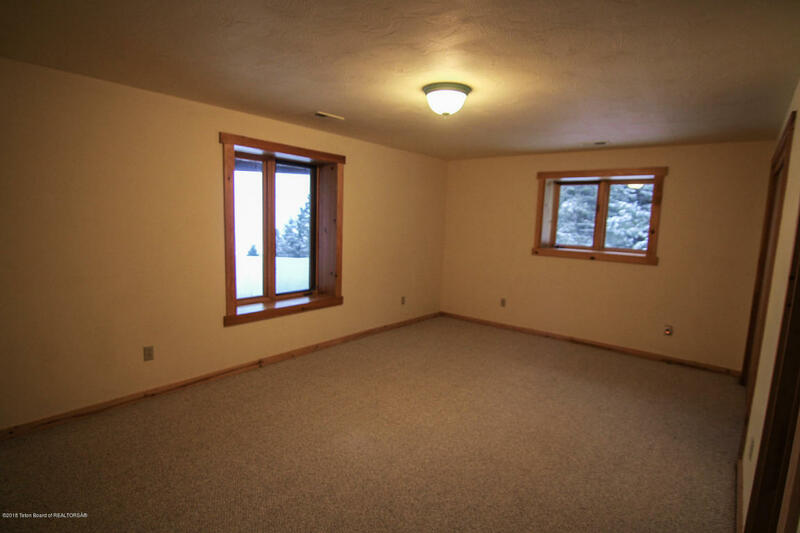 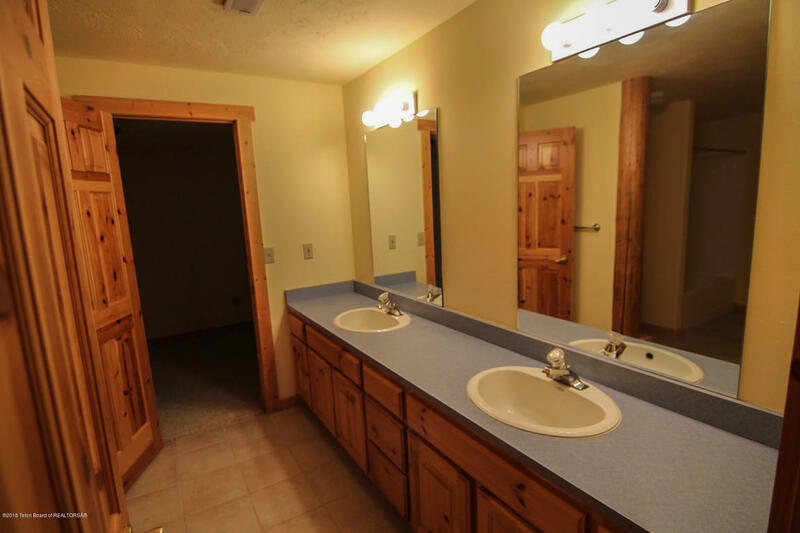 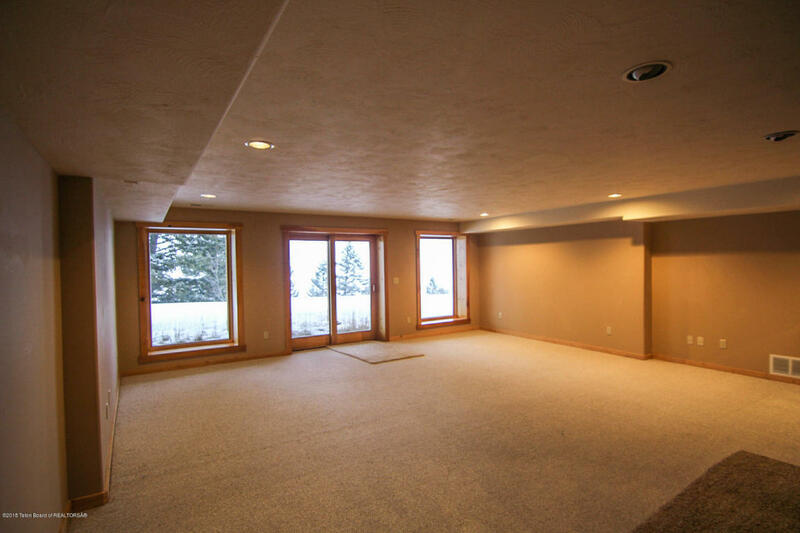 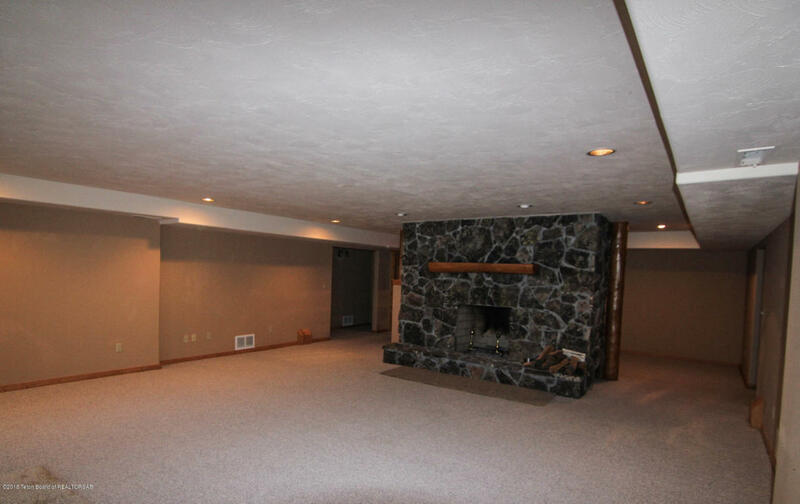 Three large bedrooms, 3 1/2 baths, loft library, main floor master suite w/fireplace, office, walkout daylight basement with huge family room area and second fireplace. 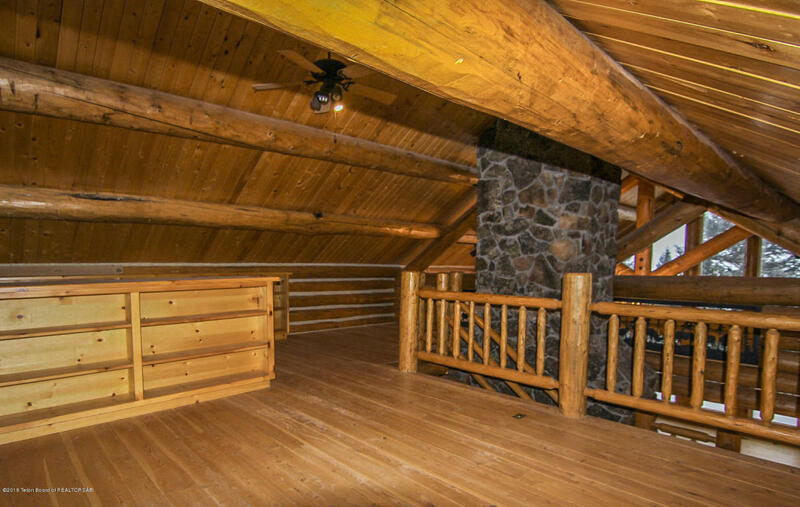 Expansive deck runs the entire length of the home extending your living space to the great outdoors!